MOSCOW (Sputnik) – The Russian authorities are discussing the creation of two offshore financial centers (OFCs) with special legal systems in the Kaliningrad Region and the Primorsky Territory to support business circles targeted by US sanctions, the Vedomosti newspaper reported on Tuesday. According to the Vedomosti newspaper, the tax havens may be located on the Oktyabrsky Island in Kaliningrad and the Russky Island near Vladivostok. The relevant legislation is expected to be adopted during the Russian parliament's spring session. A source told Vedomosti that the initiative had been talked about for some time, but the recent sanctions created a new momentum for the discussions. Russian officials have refused to comment on the issue. If implemented, the project will allow money withdrawn from Russia to be quickly returned via the OFCs. 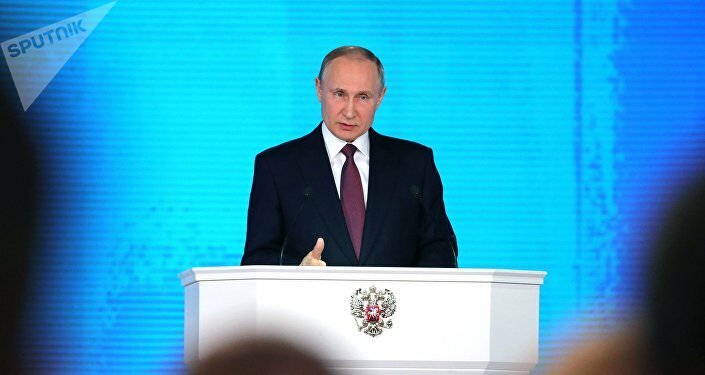 Businesspeople will be able to return their companies to Russia without putting any risk to the firms' legal and financial infrastructures or disclosing sensitive information. The companies that will operate in the OFCs will get a number of tax privileges. On Friday, the US Treasury Department added another 38 Russian entrepreneurs, senior officials and companies to its sanctions list in response to Russia's alleged "malign activity" worldwide. Russian entrepreneurs designated by the Treasury Department include Viktor Vekselberg, Oleg Deripaska, Alexey Miller, Suleyman Kerimov, Kirill Shamalov and Andrey Kostin.